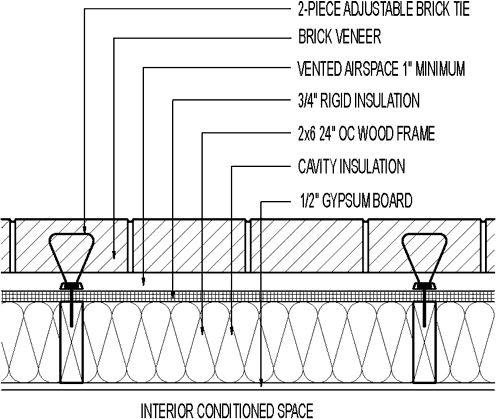 These plan details accompany the wall sections for the corresponding wall claddings and thickness of rigid insulation. 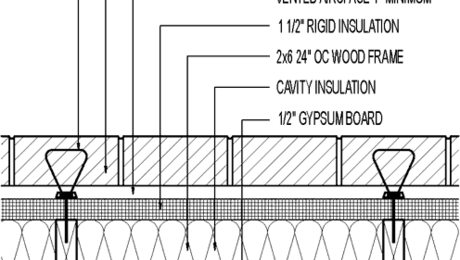 In general, exterior above-grade walls should have continuous air, water, and thermal barriers. 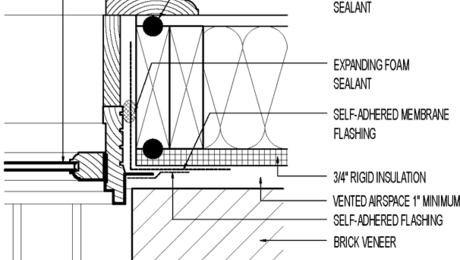 Installing rigid insulation as the exterior sheathing can accomplish all of these tasks, but you need to account for shear resistance (provide wall bracing) in other ways, and you must provide special details if you expect the foam sheathing to perform as a water-resistive barrier (WRB). 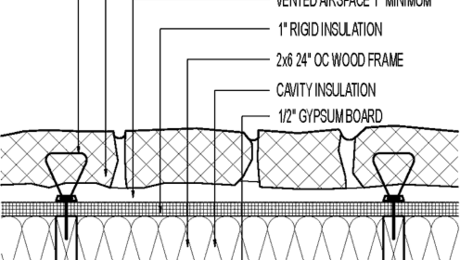 A double-stud wall insulated with dense-packed cellulose is an excellent thermal barrier; however, double-stud walls still need at least one additional air barrier to limit air leakage through the cellulose. 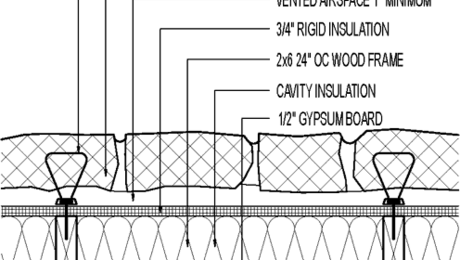 Check out the advanced framing section of Construction Detail Library for alternative techniques to achieve shear resistance, and check out Using Rigid Foam As a Water-Resistive Barrier for more information on walls without housewrap. Flanged Window at Jamb. Exterior Foam Sheathing; Brick Veneer Siding.